The language of instruction at the FIS is English. Students in the English as an Additional Language (EAL) Program at the FIS are provided the best possible environment for them to develop their English language skills and help them to achieve academic success. We are here at the FIS to support students’ transition to an English language environment and culture. Our aim is to enable our EAL students to access the curriculum to be academically successful, to integrate socially as members of the school community and to grow as individuals. 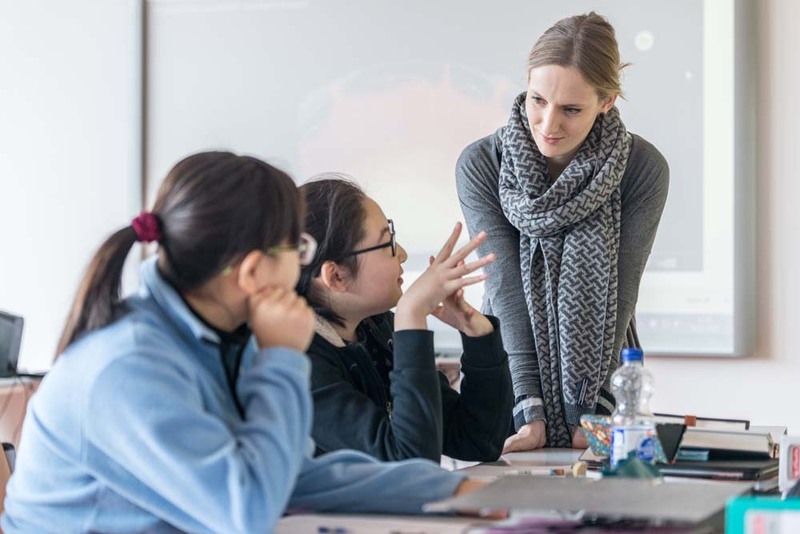 From EY5 to Grade 12, the FIS has an EAL Program which provides both pull-out support in small groups and push-in support in mainstream lessons to EAL students until they are ready to be part of mainstream lessons across the curriculum. Our EAL Program is levelled and provides instruction for beginners, intermediate and advanced students. Language teaching is linked to other areas of the curriculum through theme-based topics and/or content work from the mainstream classroom. We consider it important that the language objectives are taught through the content, so that EAL students have about the same background knowledge, skills, strategies and concepts as their peers in the mainstream classroom. What does EAL support look like at the FIS? EAL teachers accompany EAL students into the mainstream classroom to assist them with the content work. This service may also include provision of adapted worksheets and tests, as well as team or co-teaching situations with the mainstream teachers. EAL teachers take students out of the mainstream classroom to provide language instruction in the EAL classroom, as well as content-area support. Content-area support will include pre-teaching and re-enforcing of vocabulary and concepts taught in the mainstream class. For students in Grades 9-10 who have not been taking First Language English, we offer the opportunity to take the externally assessed IGCSE English as an Additional Language. For students in Grades 11-12 who have not been taking First Language English, we offer English as a Language B (language acquisition) course, as part of the externally assessed IB DP program. You can find a lot more information as well as resources to support your child with his or her English on our EAL Website. We invite you to read our Parent Information Handbook, which provides detailed information about the EAL Program.